Our Etsy shop, The Tiny Acorn By J Lee is very excited have teamed up with Here for you reviews to bring you an exciting giveaway! Around three months of age, Miss P began getting distracted during nursing sessions. Every sound and sensation was new to her, and she’d often yank my hair, tug at my clothes, kick her legs, scratch her nails across whatever surface we were seated on, etc. I started making these necklaces to keep her busy little body occupied while nursing, and for us, they’ve become a dependable solution. Miss P also enjoys holding on to these necklaces while being worn in a sling. 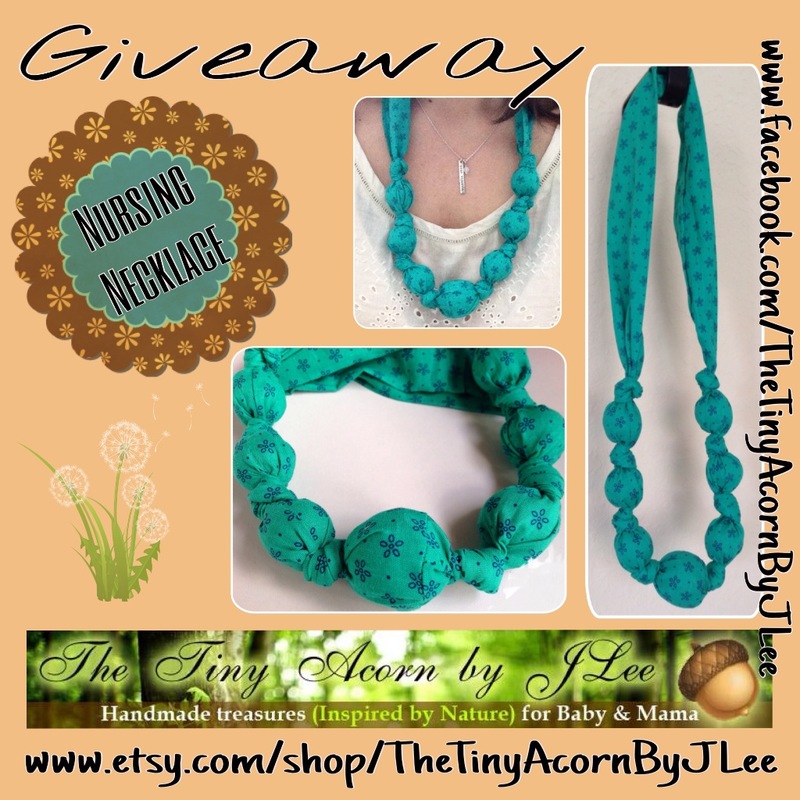 Simply click the link below and follow the instructions for your chance to win a sweet and cozy handmade nursing necklace from The Tiny Acorn By J Lee in Lagoon.